33% of people carry Staph in their noses, and generally do not show any signs of illness or infection. 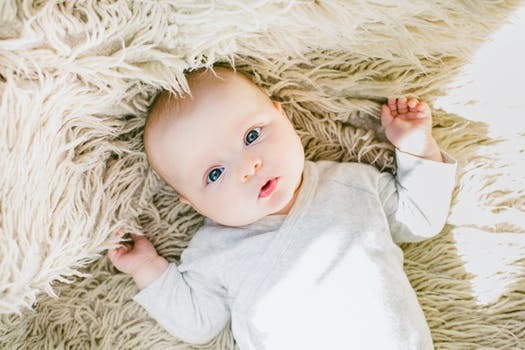 Per Carman Campbell, creator of Swabbies Technologies, an organic and sanitary diaper rash application, the fact that staph is so rampant makes it even more likely for babies to come in contact with the infection – potentially leading to severe illness or in some cases, death. MRSA typically spreads by way of contaminated hands or direct contact with infected wounds. Carman says that for babies, it’s imperative that caregivers keep them safer from Staph infections by ensuring a sanitary environment – particularly when changing their diapers. SOLUTION? Mess-free diaper rash applications help prevent diaper rashes from occurring while making the process easier and cleaner for adults. While historically, staph was predominantly seen in hospitalized patients and those who were chronically ill, nowadays healthy adults and children are more susceptible. Over a 5-year period, cases of head and neck MRSA infections more than doubled in children (3). But Campbell asserts the good news: Staph infections are avoidable and can be prevented. Swabbies Technologies has developed a diaper rash cream and applicator that simplifies sanitary diaper changing for parents and caregivers. The idea of Swabbies originated with creator, Carman Campbell’s own motherhood woes. 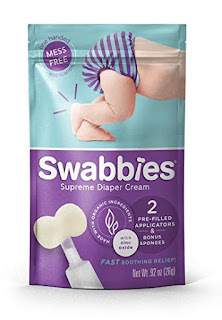 Swabbies allows parents to apply diaper rash cream with one hand, without spreading cream on hands which makes multitasking achievable. The applicator’s patented design allows the cream to easily be dispensed with one hand, while the other hand remains free to tend to the wiggly baby. Unlike other diaper rash cream solutions, there’s no need for the person changing the baby’s diaper to put the cream on their hands to administer the treatment.